​Rent out our studio for your Private parties, such as for Corporate/Team-building events, Bridal or Baby shower, Bachelorette party, Ladies Night Out, or just for a good time with close friends! 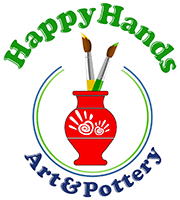 You can count on Happy Hands Art & Pottery to provide a wonderful experience. Our studio can accommodate groups up to 20 in Fairfield, larger groups in Wilton. 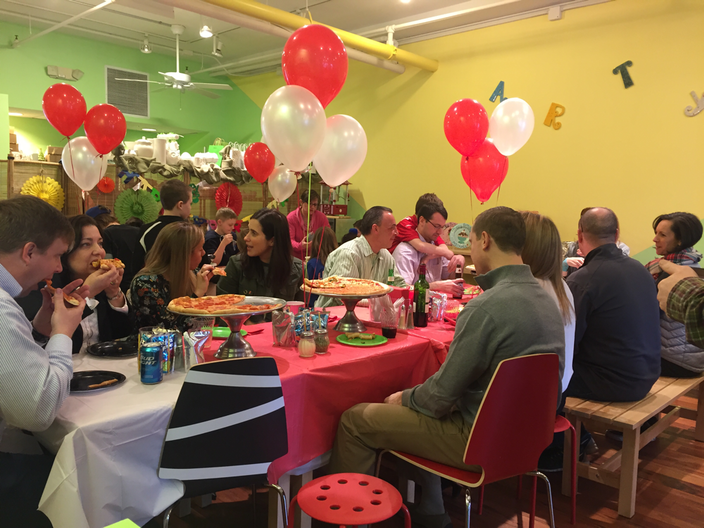 Call/email to schedule your party today! $100 charge for up to 2 hours of private studio time. This includes basic table supplies and all clean up accommodations for your party. There is an additional $50 fee for each half hour of extra studio time if your party extends past 2 hours. Price $ of pottery + $8 firing with 8 guest minimum, $25 minimum per guest. Special pricing available for schools, non-profits, and fundraisers. Deposit: $100 is due to reserve the date & time. It's applied toward the final balance, which is due in full at the end of the party. Custom art plate requests are subject to an additional fee (starting at $50 and up) and artist approval. You may bring your own d'oeuvres & drinks including wine & desserts. The final guest count is due 3 days prior to the party. We'll provide dedicated paint associates for creative direction & guidance to keep your party running smoothly & on time. Fired projects will be available for the host to pick up within a week after the party​. Call or email to schedule your party today! Up to 1 hour studio time. No outside food or drinks. Deposit: $50 to reserve date & time. It's applied toward the final balance, which is due in full at the end of the party. ​All pottery is subject to change and availability; however, special requests are welcome. *Happy Hands Art & Pottery reserves the right to use photos or videos taken at our programs and events on our website, blog, social media or in printed materials.